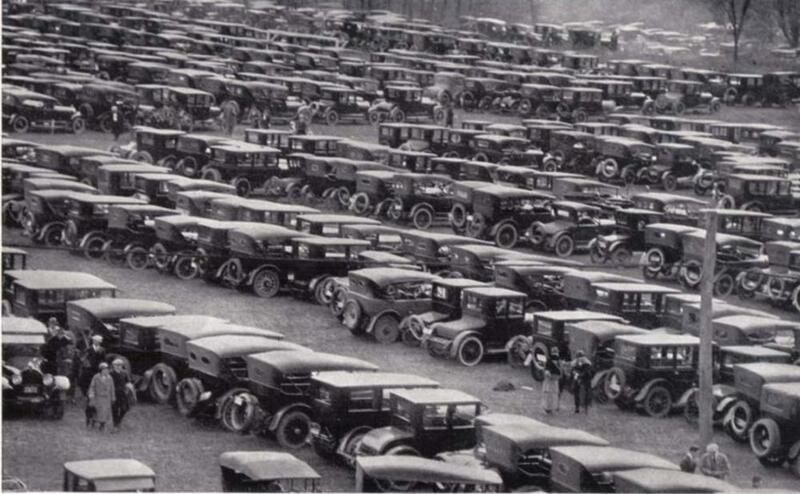 Model T Ford Forum: Old Photo - So Where Did You Say You Parked The Car Dear? Old Photo - So Where Did You Say You Parked The Car Dear? 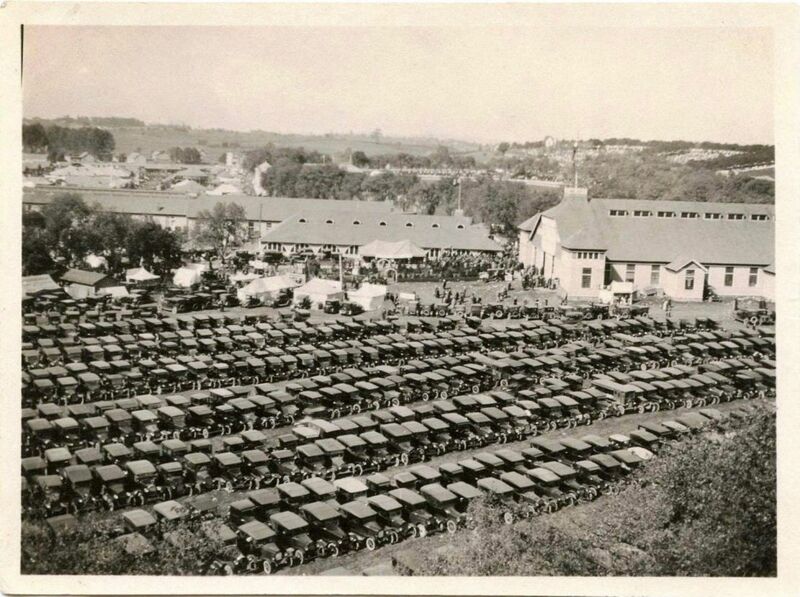 Model T Ford Forum: Forum 2014: Old Photo - So Where Did You Say You Parked The Car Dear? Holy Crap! How on earth could people ever find their car?!? The lanes look awfully squishy too! Great picture Jay, as always. It's still that way! The modern cars are all shaped the same! We were in Nashville on a vacation and had a rented car. Went to the Grand Ol Opery. After we came out, we couldn't find our car. Finally after almost everyone had left, we found a few still parked there and one was ours! Are there more Touring's or more Sedans? Here's a rental car trick, never rent a white one always ask for a color. Next keep hitting the remote button and soon the honk or lights will flash. If that fails hit the panic button. I once worked at an outfit that had a contracting division with a small fleet of trucks. They gave me the keys to a base model 3/4 ton Ford so I could make a run to Home Depot. Not thinking, I parked on the end of the store with the contractor's entrance during the middle of the day and when I came out it took me a little while to figure out which one of the 1/2 dozen white trucks was mine! I think I see my Coupe! 5th row, 37th from the end! I see quite a few Ts, and lots of middle-ground cars. Very few high end cars for such a large group. And I haven't found a single high end sport roadster. Most large groups of cars, I can find at least one? I wonder what the event is? Neat photo, Jay, thank you again! A woman drove her husbands car to Disneyland and couldn't find it, the security asked her what make, model and color it was and she didn't know. The security had the answer to the problem, we will wait until all the cars go home and your's will be the only one left, sure enough, it was a car with a red canoe on top. She thanked the efficient security staff and went home. Betcha it was "Black Friday". Is that the Del Mar Calif. horse racing track?